IT seems Robert Kardashian is hell bent on antagonizing his family over his shock new romance with Blac Chyna. The reclusive 28-year-old has made a rare appearance on social media to taunt his family with a meme about Blac Chyna having a Kardashian baby. It is believed his family is furious about his new bond with Tyga’s ex fiancé. But on Tuesday Robert did nothing to calm the situation, when he joked about him and his rumored new girlfriend having a baby together. Troubled Rob re-posted a meme created by a site that showed the model carrying a baby car seat. 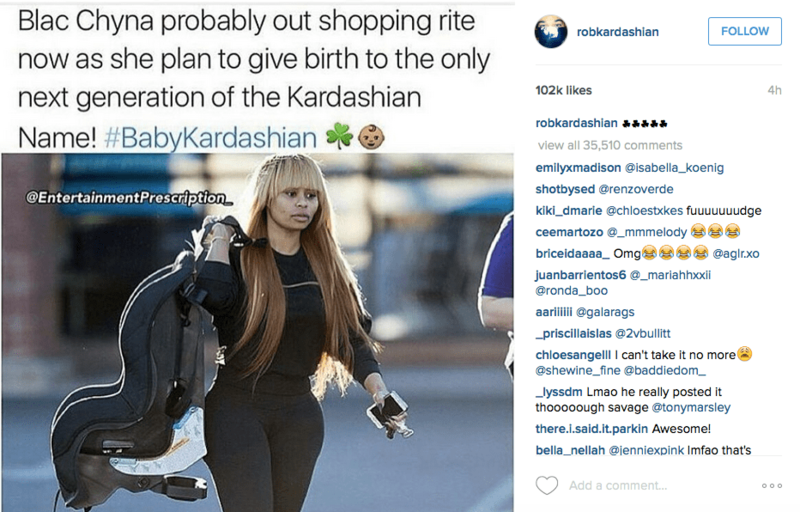 The post had the hashtag ‘babykardashian’ and Rob captioned the picture with emojis of lucky three leaf clovers. This comes as his sister Kylie made it clear Rob is not her favorite person right now, joking he was no longer her brother but the devil. While the apparent post has now been deleted, Twitter fan page UpdateJenner took a screen grab of it. 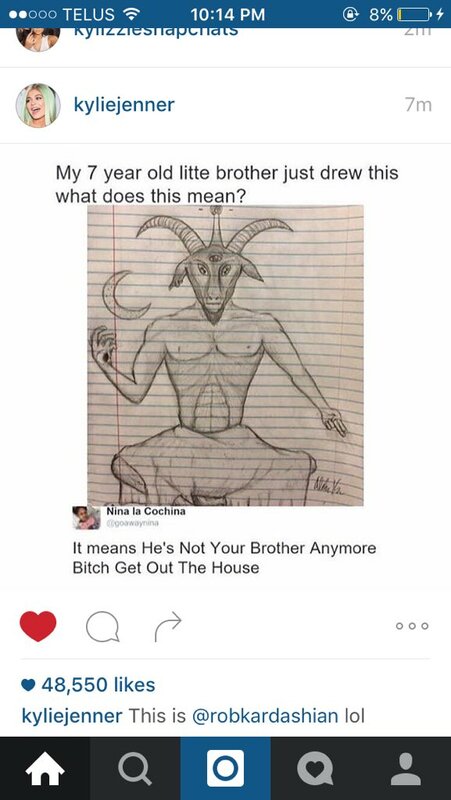 The 18-year-old star allegedly re-posted another social media user’s post of a drawing of the devil drawn by another woman’s seven-year-old brother.